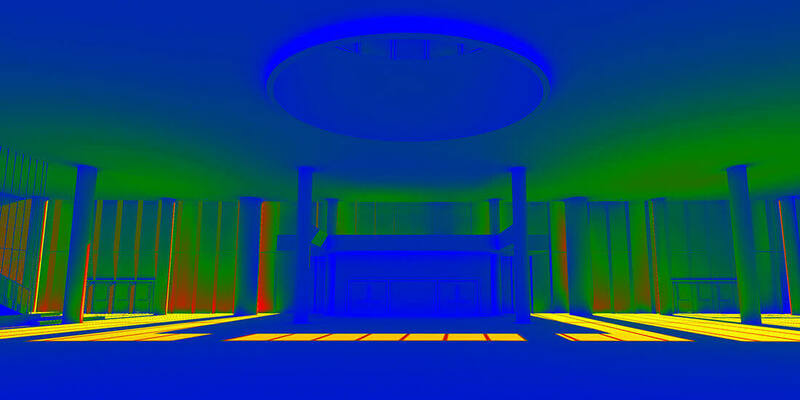 Energy analysis can be used to review daylighting and glare, as in this lobby design. Courtesy Corgan. It’s no longer enough to build walls with recycled wood pulp or roof buildings with energy-absorbing tiles and call your work “green.” Companies want energy efficiency from top to bottom, roof to slab, folding environmental considerations into the entire process. Designers and architects are being called to lead the way—and using energy-analysis tools helps you get there. To reap the potential rewards, firms have to know where to start. Energy-modeling tools determine how much energy a building requires per year, based on its size, orientation, and materials. Dan Stine, AIA, CSI, CDT, and BIM administrator with LHB in Duluth, Minnesota, encourages firms of all sizes to develop training for energy-analysis skills. Adopting and properly using the latest tools has a measurable learning curve—even for associates fresh out of school—to produce the high-quality modeling needed to project a building’s energy consumption. But the democratization of energy modeling is happening, Stine says, thanks to tools such as Autodesk Insight, which offers cloud-computing and simulation services to Autodesk Revit users at no additional cost. Read on to discover four reasons why you should adapt energy-analysis tools and keep your firm ahead of rapidly evolving energy demands. Learn how energy modeling leads to greener buildings. Find out how energy analysis can help meet the Architecture 2030 Challenge goals. Decades ago, it was difficult to really understand the impact that buildings have on the environment, says Justin Dowhower, AIA, LEED AP, WELL AP, and an associate with Corgan in Dallas. But today, clients and owners want to better understand everything that goes into a building and what it will cost in the long run. That requires more research up-front with everything from environmental impacts to energy consumption and generation. Stine uses carpet sourcing as an example. When considering lifecycle analysis (LCA), where the carpet comes from greatly impacts the building’s initial energy costs—from the extraction of raw materials to production to transport from the manufacturer to the construction site. A corporate headquarters design. Courtesy LHB. 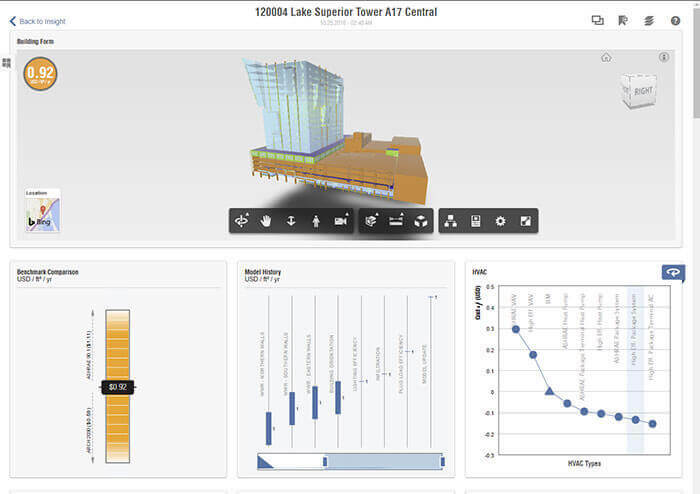 The optimization dashboard for the headquarters in Autodesk Insight. Courtesy LHB. “The ideal result of sharing energy-analysis results early on between the designer and the client is that meaningful changes are still able to be made that will not affect the project schedule or require previous work effort to be undone,” Stine says. Energy modeling creates outputs that enable side-by-side comparison of materials, a visual benefit that helps improve client communications. This, Stine says, has helped firms make more informed design decisions and helped clients better understand their cost and energy implications. 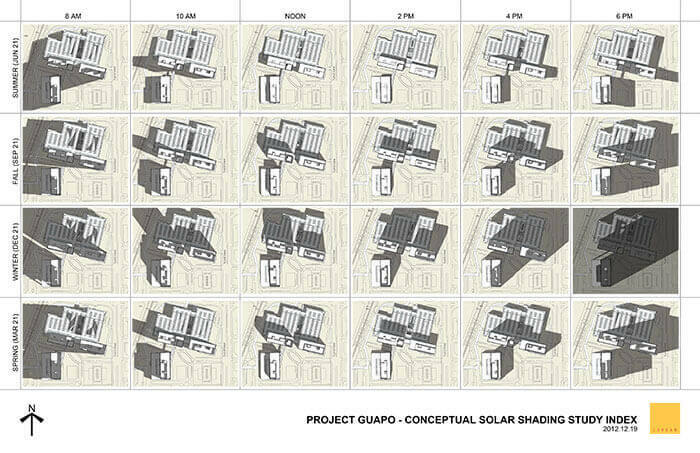 This thumbnail study looks at changes in sun and shadow angles on a site throughout the year. Courtesy Corgan. Energy modeling—or performance analysis, as Dowhower calls it—isn’t just looking at which way the windows face, where the carpet comes from, or how the paint is made. It also analyzes how the building will be used and how it can save companies money. Performance analysis can also be explored using occupant evaluations. 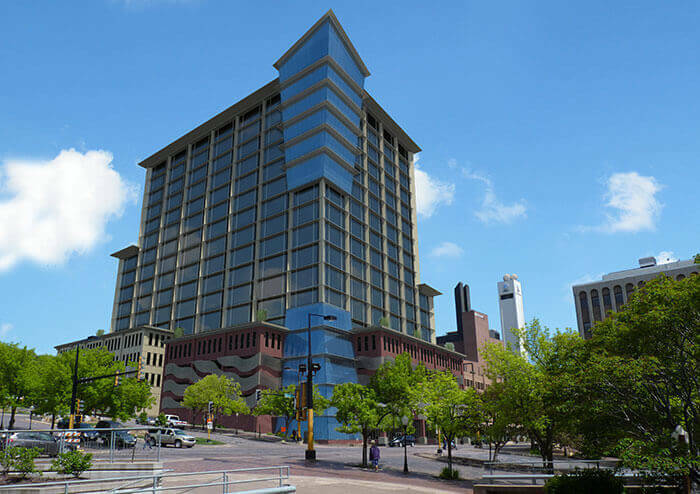 Stine’s firm did this kind of study with its own Minneapolis workspace before creating a renovated, LEED CI Platinum–certified space in a historic building. The design team collected valuable information from the occupants—their coworkers—to learn how the space worked for them and applied this research to their new workspace. After the project was complete, LHB did a post-occupancy evaluation (POE) to see how well the design goals and intentions matched up with the reality. The team not only shared the results of the POE with the entire company to assist in future projects but also presented the findings at conferences such as Greenbuild to help move the industry forward. 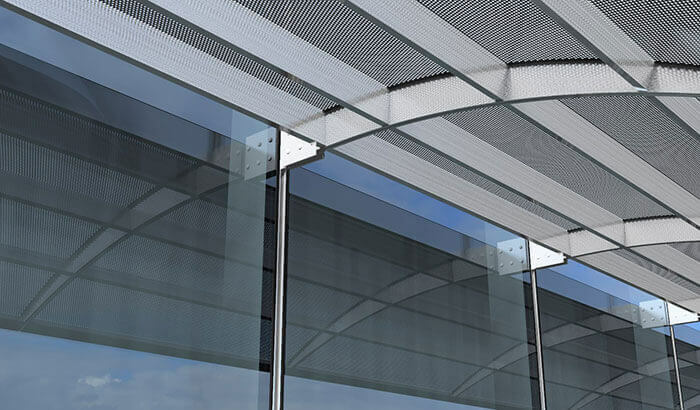 This custom solar-control shade on a curtainwall maximizes daylighting and minimizes glare. Courtesy Corgan. Price is always a sticking point, but one of the benefits of energy analysis is demonstrating the value of your choices. For example, Dowhower says, recent work on a mostly glass building provided the opportunity to create almost a dozen sun-control options for his project. From that, he was able to find the optimized solution and present it to the client.